In 2002, the New England Patriots, led by second year quarterback Tom Brady, faced off against the veteran-heavy St. Louis Rams – known back then as “the greatest show on turf” – in the Super Bowl. At the time, our world was only two years removed from the Y2K scare, only six GM crops had been approved and this organization went by another name. Fast forward seventeen years later to Sunday when the New England Patriots battle the Rams, this time the Los Angeles Rams, in the 2018 Super Bowl. For #FlashbackFriday let’s look at how much the industry, and BIO, have evolved since the first Patriots-Rams championship game. In 2015, the St. Louis Rams packed up and headed west. While they keep many of their players, retained the iconic Rams mascot and stayed in the same division after the move, they did take on a little re-branding. Today, they are known as the Los Angeles Rams. It would only be a year later that BIO went through its own subtle re-branding. The change was made to better represent BIO’s members, companies who are at the cutting-edge of science. “The Biotechnology Innovation Organization will be there to support our members in their tireless effort to make the world a better place to live,” promised Greenwood in 2016. Just as the Rams kept most of their identity, BIO’s mission and commitment to its members has remained the same. Back in 2002, many of today’s players on both teams were preteens, watching the Super Bowl from what I can only assume would’ve been a beanbag. They certainly weren’t playing in it (except for one). Similarly, the roster of GM crops looks much different today than it did in 2002. There were only six GM crops on the market in 2002 (soybeans, corn, cotton, canola, squash and papaya). But, between 2002-2018, another four GM crops were developed and approved for market (sugar beets, alfalfa, potato and apple), leading to 10 total GM crops available today. Researchers and companies are now identifying ways to modify crops for consumer benefit. Both the GM potato (2016) and GM apple (2018) were developed to carry traits that reduce browning and bruising, which extends the shelf life of these products for consumers. Now, if only there was a way to reduce bruising on the football field. You may recall that the New England Patriots were riding into the 2002 Super Bowl with a little bit of controversy surrounding how they got there. The week before, in blizzard conditions, the referees spent several agonizing minutes trying to decipher whether Tom Brady had fumbled (see: tuck rule). If so, the game was over, Raiders were going to the Super Bowl. 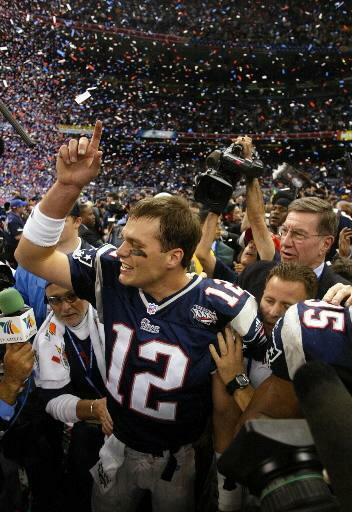 If not, Brady had time to march down the field and win a trip to New Orleans (spoiler alert: he did). The review process was painful, not just because of the low visibility, but because the technology to actually review the plays was nowhere near as advanced as it is today. Today, the NFL has mitigated many of the lagging issues with replay by incorporating new technologies to make reviews more efficient. As long as the lights stay on, the referees will be able to take advantage of technology to quickly review and make the right call on Super Sunday. Likewise, gene editing technologies (such as CRISPR, TALENs and Zinc Finger) are revolutionizing the field of agricultural biotechnology. Gene editing allows scientists to make targeted modifications to a plant or animal’s DNA in order to achieve a desired trait, as with selective breeding, only faster and with more precision. It’s amazing to see how much biotechnology, and BIO, has evolved, especially in food and agriculture since 2002. Of course, this is only a fraction of the advancements that have been made. Like the New England Patriots, you can count on biotechnology to advance every year.